Up to this point, U.S. businesses and the government have defined diversity by factors like age, gender, race and disability. Millennials have an entirely different perspective on Diversity and Inclusion and for a good reason. Millennials are one of the most diverse populations the U.S. has experienced to date, so they aren’t impressed with diversity statistics focused on demographics. Instead, the millennials focus more on the willingness of a business to embrace and include a diversity of ideas and perspectives within a positive and supportive culture. If you create a culture of diversity that recognizes past and current perspectives, your workforce will be more engaged and more productive. Millennials will account for as much as 75 percent of the workforce by the year 2025. The millennial perspective on diversity and inclusion matters. Just when business leaders thought they had mastered the principle of diversity based on demographic differences, along came the millennials with a new perspective. As one of the most racially and ethnically diverse adult populations in U.S. history, millennials assume workforce diversity, based on characteristics like race and gender, will naturally develop. After all, the workforce cannot help but get more diversified as more millennials enter the workforce. Couple that with the easy access to people around the world through the internet and social media, and diversity and inclusion are not things to work toward. It just exists. Put the two perspectives side by side, and the differences are clear. The perspective of the older generation of business leaders is that diversity is based on demographics. 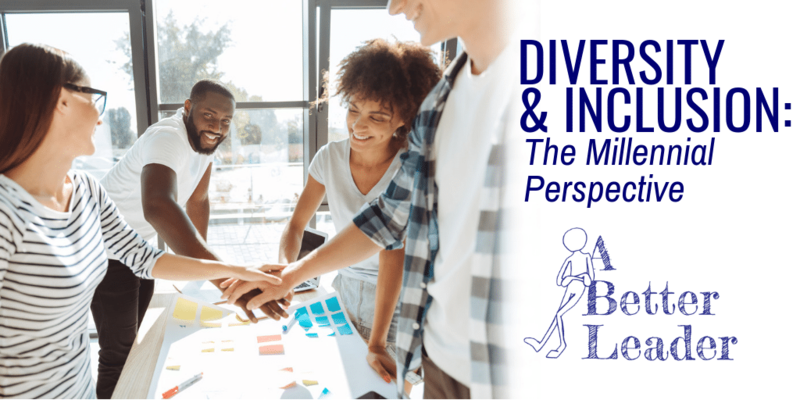 The perspective of millennials (and Gen Z) is that diversity and inclusion refers to a diversity of ideas, thoughts, perspectives, and insights. “Inclusion” for baby boomers meant things like hiring a certain percentage of African-Americans. Or creating work teams that reflected workforce or customer demographics. Inclusion for millennials means giving all people opportunities to share their perspectives, network and contribute innovative and creative ideas. Baby boomers like statistics and goals, measuring factors like the number of women in leadership positions or the percentage of people hired or promoted who are minorities, disabled, veterans, and so on. Millennials are more interested in subjective factors like the level of employee engagement, the percent of the workforce that believes there is a positive workplace culture or whether there is a sense of belonging. For millennials, subjective factors are as, or even more, important as hard statistics. Many of your younger employees may recognize their social limitations, leading to their desire to feel a sense of community and belonging in the workplace. Inclusion takes on a new level of meaning because it infers giving people opportunities to work directly with each other. It is not the number of Asians assigned to project teams that is important. Inclusion means giving employees the opportunities to directly work together – face-to-face. This doesn’t preclude using technologies like interactive webinars to ensure remote employees are included in these opportunities. Employers that primarily focus on statistics based on traditional demographics are missing out on an important strategy to engage and connect multiple generations of employees who have differences across a continuum from demographics to differences in thinking. 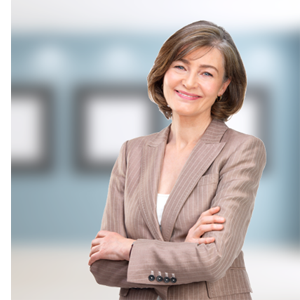 An often-quoted Deloitte study, explains that baby boomer leaders have pursued conformity in the workplace for decades and assign one-dimensional identities to people. The result are corporate diversity and inclusion programs that categorize people based on a particular demographic, and in doing so, fail to allow them to express themselves in their fullness of multiple identities. Millennials find this unacceptable because it maintains a separateness instead of inclusion. One of the most important functions of business leaders today is creating an inclusive culture that embraces diversity and inclusion as a source of innovation. Being satisfied with diversity by the numbers won’t create an inclusive culture. Looking at people only through the lens of the color of their skin, country of origin, disability or gender actually reinforces biases. Looking at diverse people as a source of creative thinking shatters those biases when people are encouraged to meld their different experiences and perspectives in a supportive work culture of relationship-building, open communication, genuine dialogue and authenticity. 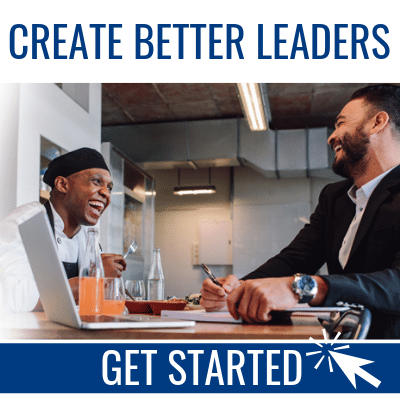 Ready to train your leaders to connect with – and support – your people? Get 30 days of A Better Leader for free, here, and create your culture of diversity and inclusion.